The Thyroid Cure provides an incredibly comprehensive understanding of autoimmune thyroid disease. 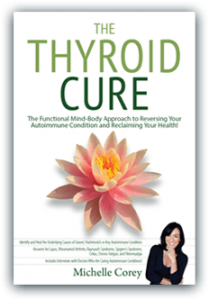 The Thyroid Cure, is essential reading for anyone with any kind of autoimmune condition who wishes to reverse the autoimmune process and feel better fast! 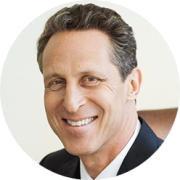 Mark Hyman, MDAuthor — The Blood Sugar Solution 10-Day Detox Diet Chairman – The Institute for Functional Medicine. A letter to your doctor explaining the rationale. A test request so you can have a baseline for where you stand at the beginning of the program. Mind-body assessments so that you and your doctor can get closer to identifying the roots of your condition. 14-day recovery program to kick start your healing and help you become aware of any foods that might be triggering your condition. Autoimmune disease had reached epidemic proportions worldwide. Over 80 million people in the U.S. alone suffer with an autoimmune condition. In fact, ninety percent of people diagnosed with a thyroid condition actually have an autoimmune condition and don’t know it. The Thyroid Cure is not just about autoimmune thyroid disease; it’s about all autoimmune conditions. I wrote the book for the person suffering and their doctor. It’s the only book that you can take into to your doctor’s office and actually point to the clear science behind the triggers for autoimmune disease, and how to cure yourself. In the Thyroid Cure book I outline the exact steps that anyone can take to reverse any kind of chronic, inflammatory autoimmune condition. I show you how to become empowered, navigate the broken medical system and get the right care, so that you can undercover the roots of your illness and heal. Chronic inflammatory conditions such as autoimmunity can be successfully reversed when the underlying triggers are uncovered and removed, and the core systems of the body are restored to balance. You will discover what you can do on your own to restore your and health, and how to find and work with a practitioner if necessary. Thousands of people are finally solving the mystery of autoimmunity and you can too! The Thyroid Cure is available in print on Amazon and digital version are available in Kindle, Nook and Apple iBooks! The journey to recovery is simple, but it’s not easy. You don’t “catch” an autoimmune condition overnight. Reversing your illness begins with becoming aware of what’s making you sick and then knowing what to do about it. 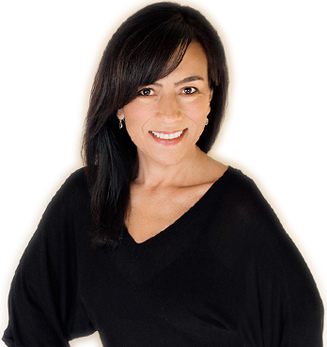 I want to help you connect the dots between chronic stress, trauma, nutrient deficiencies, exposures to toxins and infections and your uncomfortable symptoms. Imagine every negative event, exposure, and trauma as splinters that have been festering in your body and causing irritations. Your work will be to gently remove the splinters one by one and let your body heal. 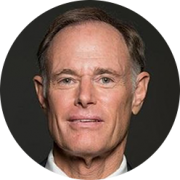 It is my desire that this book will offer a new way of thinking about all autoimmune disease, its causes, and the steps you can take to reverse the process and have vibrant health.